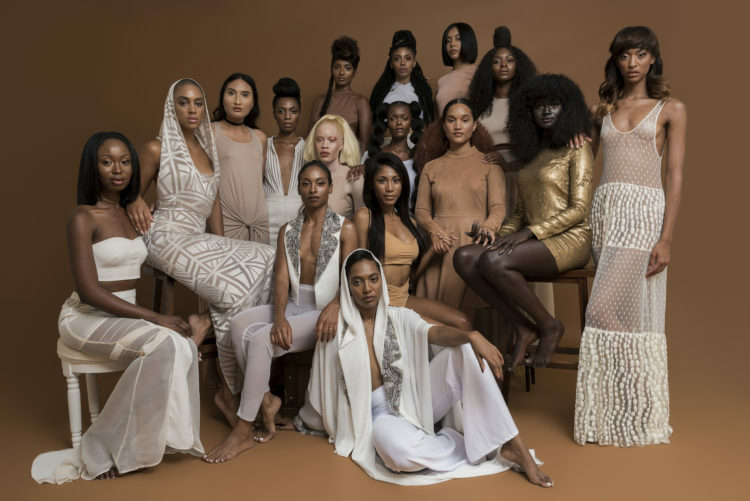 We talk to Khoudia Diop aka the Melaniin Goddess ahead of her takeover of the TRUE Africa IG handle. She tells us about about The Colored Girl campaign, whom she looks up to and what are her best skin care tips. I am 20 and grew up in Senegal mainly, and then moved to Paris as a teenager. I recently relocated to New York City about a year and half ago. Ever since The Colored Girl: Rebirth campaign, I’ve been working very closely with my managers, Tori and Victory of The ‘C’ Girl, Inc.
We have lots of new offers and amazing projects in the works and I’m excited for the future! I’m currently also enrolled in school, full time. So I’m pursuing my degree and am going to continue modelling as well. Could you tell us more about the Rebirth Movement? I began working with Victory Jones and Tori Elizabeth, creators and founders of The Colored Girl, after they handpicked me to be in their last campaign: The Colored Girl: Rebirth. They struck up a conversation with me via social media and I had seen their first campaign, and how amazing it was, so I was excited when they asked me to be a part of something so incredibly positive for women of colour! I became this viral sensation. I joined because I wanted to be part of something positive, creative and uplifting for black women. I wanted to express myself by doing what I love while also inspiring other young girls. Tori and Victory really saw something in me and also chose me because of my unique look as well. Before that I was virtually unknown… Then I became this viral sensation. It’s all very surreal! My first role model is my mom! I love how amazingly thoughtful and driven she is with what she wants and doesn’t. How she lets negative things go and how happy she is. Most important thing about her, is how caring she is not just with her family, but with everybody. I also love Michelle Obama too. Another woman I love and adore is Lupita Nyong’o. I just really admire how confident she is in her skin. Did you think that social media would take you to where you are now? What do you think about social media being more and more a professional springboard? It’s really still surreal for me in a way… it wasn’t until after being featured in The Colored Girl: Rebirth campaign that I went viral. Pictures of me from that shoot somehow caught everyone’s attention! We get to see more diversity and that’s how it should be. When Tori and Victory met me I only had about 300 followers! Their creative genius helped launch my career and I’m so grateful for that. The power is in our hands: the hands of the people on social media. So we get to show ourselves and set our own standards. This is very powerful and empowering! I think so many people promoting themselves on these platforms helps change the way we see and think about beauty and I love it! We get to see more diversity and that’s how it should be. Could you give us a few beauty tips like your make-up and skin essentials? I think all shades are stunning and should be embraced! I would advise others not be ashamed of your skin. For skin care, coconut oil and shea butter are the best moisturizers ever! Any advice for young girls who aren’t feeling confident about theirselves? Really learn who you are. Learn yourself, celebrate the things you like about yourself and learn to LOVE yourself! It’s definitely an ongoing process, but so worth it!